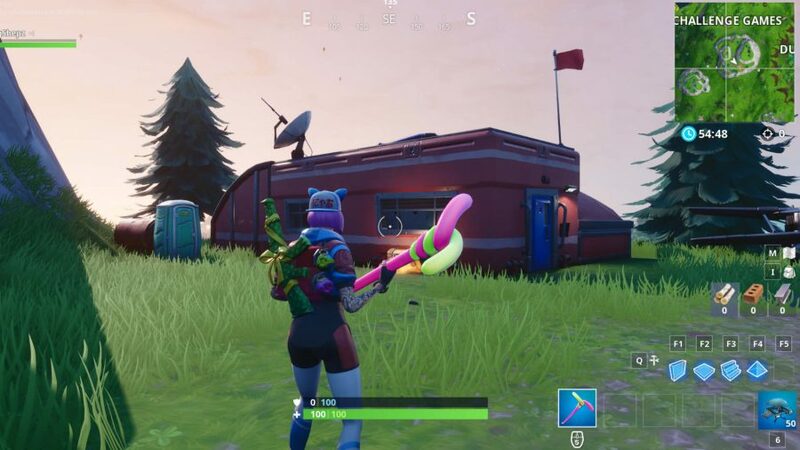 Where are all Fortnite Expedition Outposts? If you’re asking that question you’re probably about to dig into your season 7, week 10 challenges for the Fortnite Battle Pass. 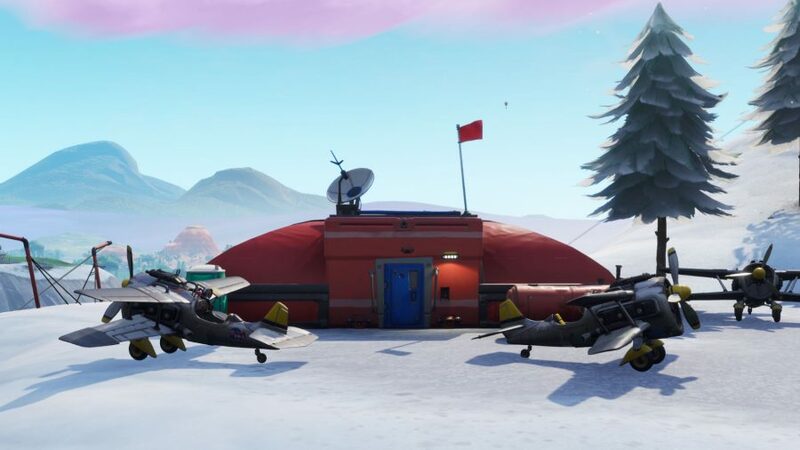 Expedition Outposts are among some of the new structures that sprang up at the beginning of the current season, there are seven in total, and you’ll need to visit every Expedition Outpost in a single match as part of your latest weekly challenges. You may well recognise this type of mission from the 14 Days of Fortnite challenges you tackled over the Christmas break. Sadly the deadline to complete all of those and claim the exclusive rewards has passed – even after an extension addressed controversy around its premature conclusion – but, if you’ve forgotten where they all are, we’re here to help. 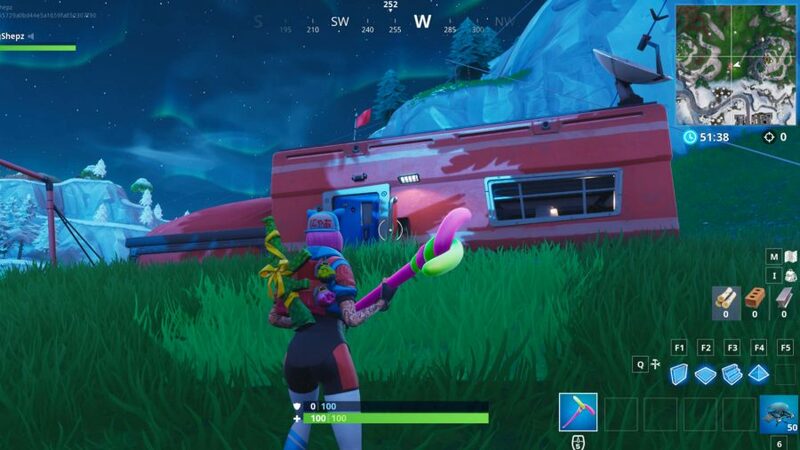 Fortnite Expedition Outposts are bright red buildings typically found on hills with zip lines all around them. 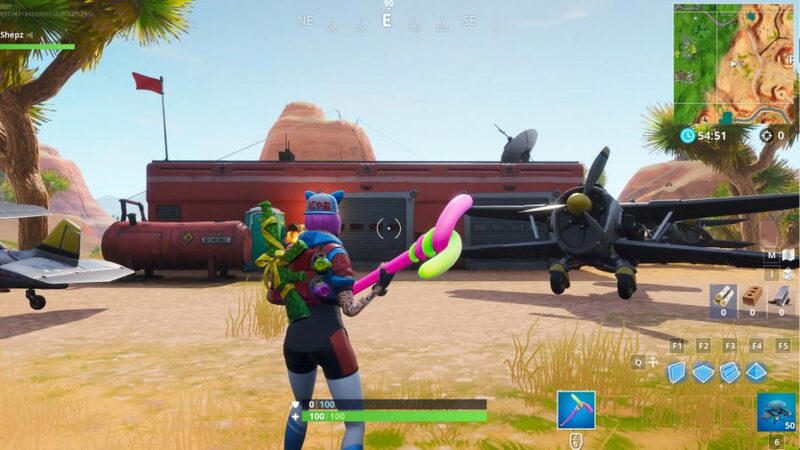 Typically they’ll have X-4 Stormwing planes parked nearby and a smattering of gold chests inside, so these spots are a good place to drop for good loot before making a daring escape – they’re also pretty popular. 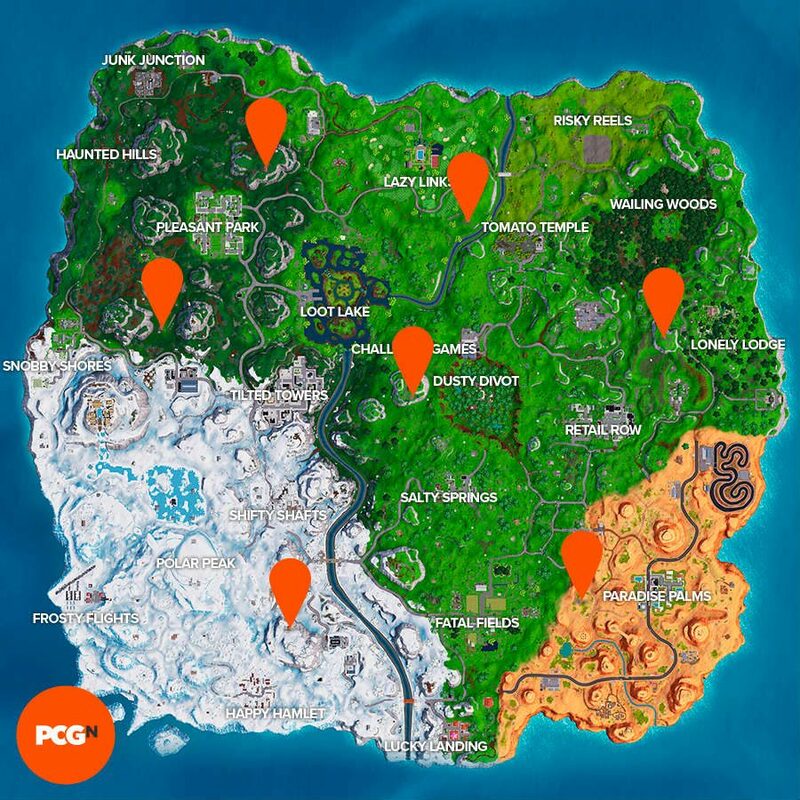 Before that, of course, you’ll need to know where they are so you can visit them all in a single match; below you’ll find a guide to all Expedition Outposts locations in Fortnite. 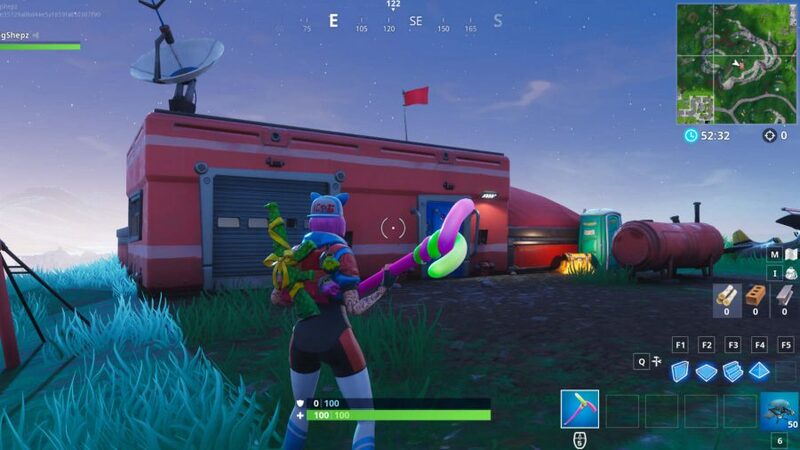 To help you get your reward for visiting all of these red buildings in one round, we’ve produced an annotated map and a gallery of screenshots to make it as easy as possible for you to visit all Fortnite Expedition Outposts. All you need to do is avoid getting killed long enough to get near each structure and you’ll be golden. Even more so if you’re rocking the Battle Hound Fortnite skin. 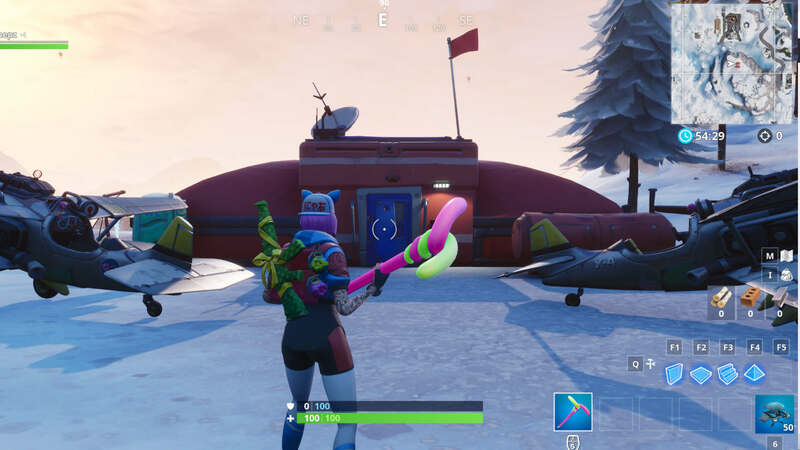 And that’s your lot, all the Fortnite Expedition Outposts you need to drop near to complete this weekly challenge. 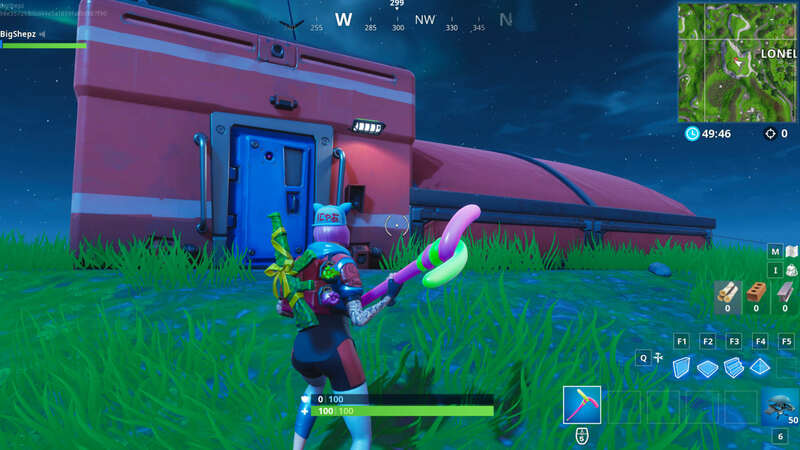 If you need help with the rest of your week 10 tasks, check out where the Fortnite Wailing Woods Shooting Gallery location is, as well as the Retail Row Shooting Gallery and Pardise Palms Shooting Gallery. 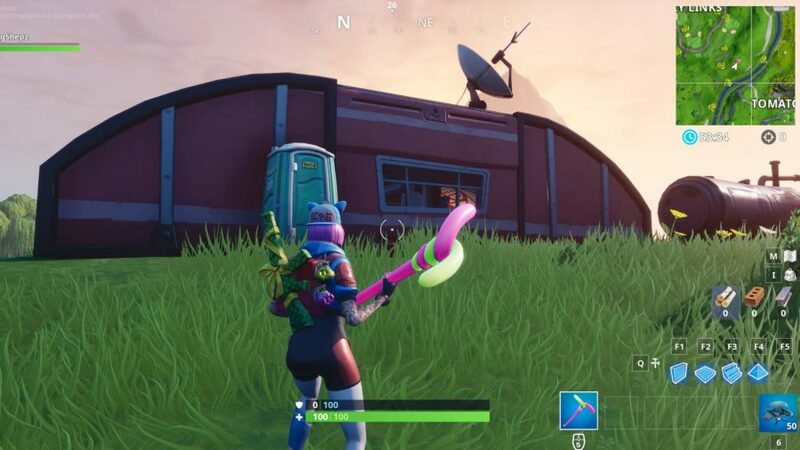 Also, find out all the leaks and teases of what’s to come in the game before the Fortnite season 8 release date hits. It’s not too far away until everything changes all over again.